by William A. Anderson, DMin, PhD. The Liguori Catholic Bible Study is a series of 21 books introducing each and every book of the Bible, providing insight into the Sacred Words of antiquity, and inviting all to discover the living Word and its impact on our daily lives. 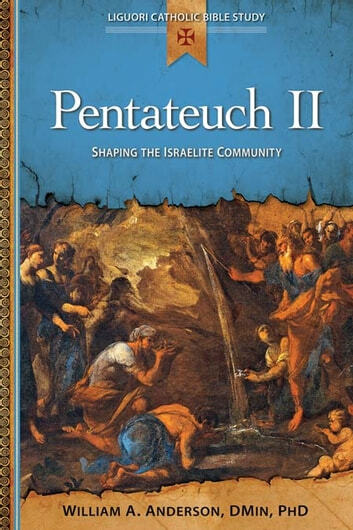 Pentateuch II: Shaping the Israelite Community continues the study of the Pentateuch with the books of Leviticus, Numbers, and Deuteronomy. These three books of the Pentateuch, or Torah, are filled with laws, rituals and feasts celebrated by the Israelite people. This book, then, sheds light on the Israelite worldview and opens readers and participants alike to a new understanding of these ancient rites and feasts, some of which are celebrated even today in the Jewish faith tradition. More By William A. Anderson, DMin, PhD.